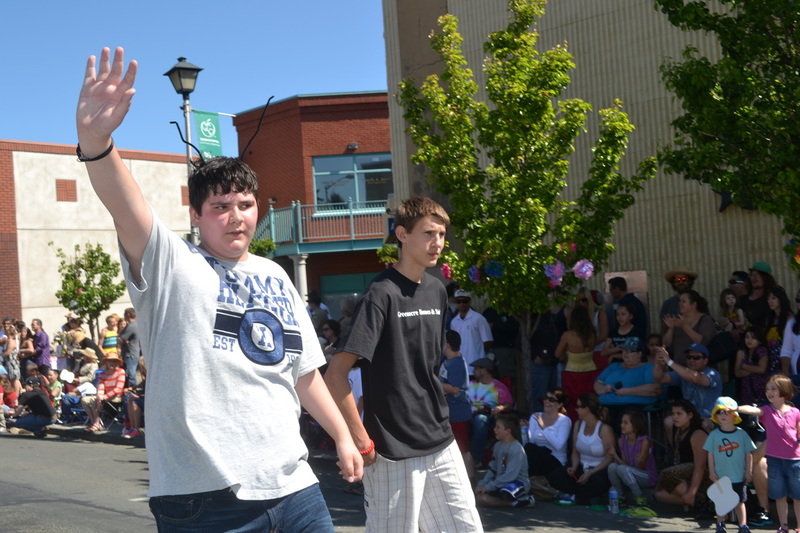 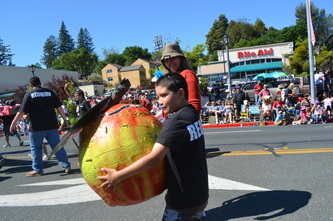 The Ants Go Marching One by One..............To First Place at the 67th Annual Apple Blossom Festival! 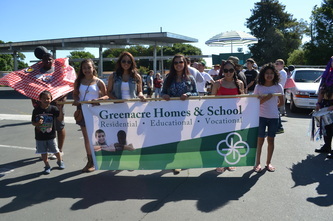 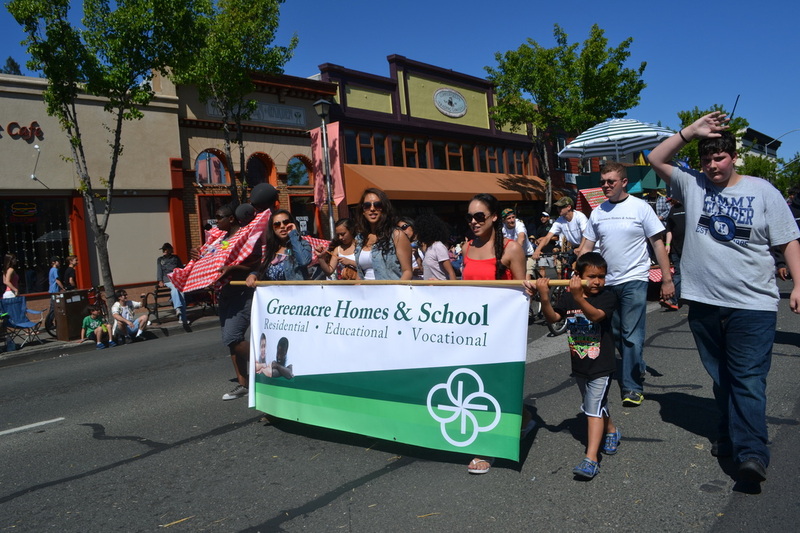 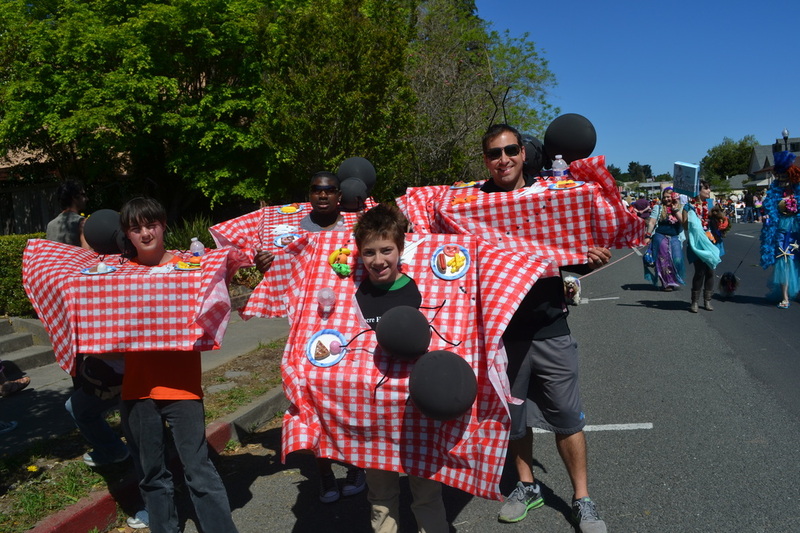 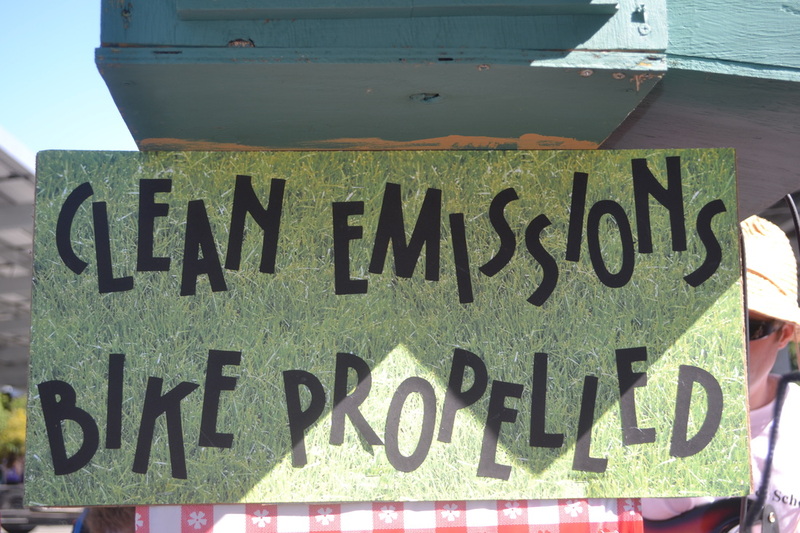 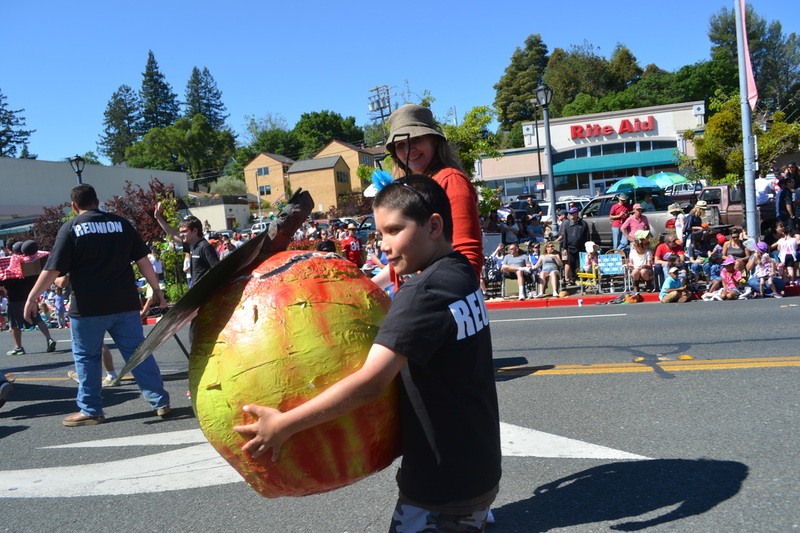 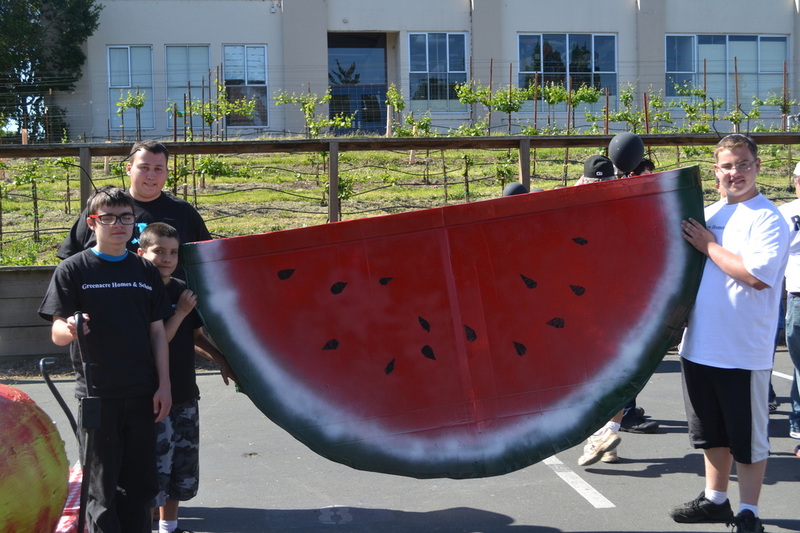 In just their second year of having an entry in Sebastopol's Apple Blossom Parade, Greenacre Homes & School's "Picnic Ants" took home first place in the Clean Emissions division. 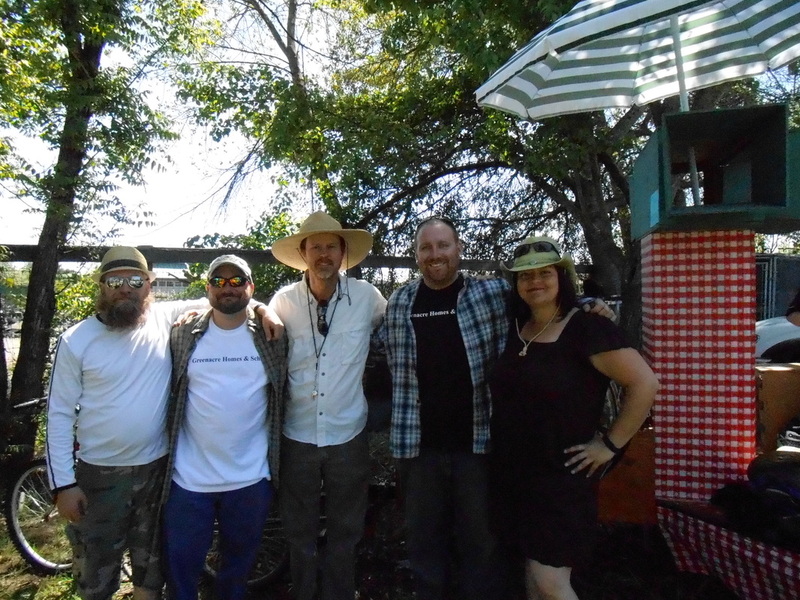 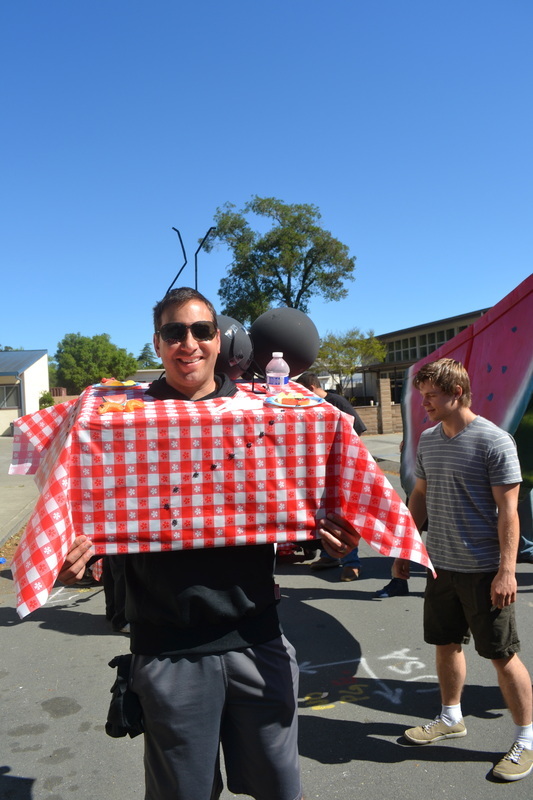 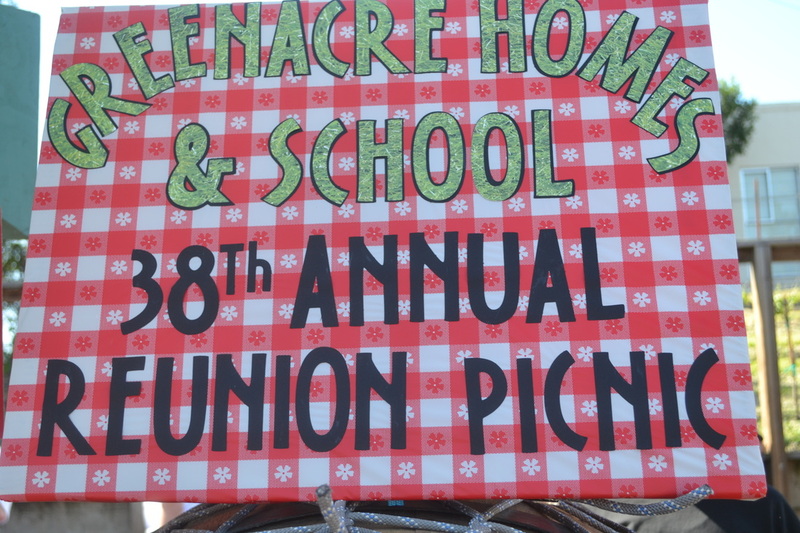 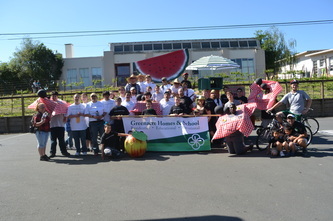 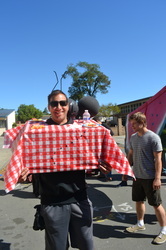 With this year's Festival theme being "Hometown Reunion", Greenacre's residents, students, staff, volunteers, family and alumni donned black ant antennae, wore Reunion t-shirts, strapped picnic tabletop platforms to their shoulders while carrying oversized fruit down Main Street. 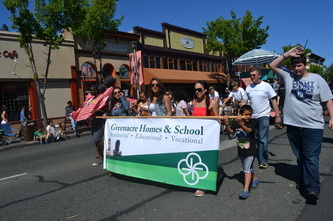 Other participants jammed out the Greenacres theme song on their Vocational Program-made drums and electric guitars. 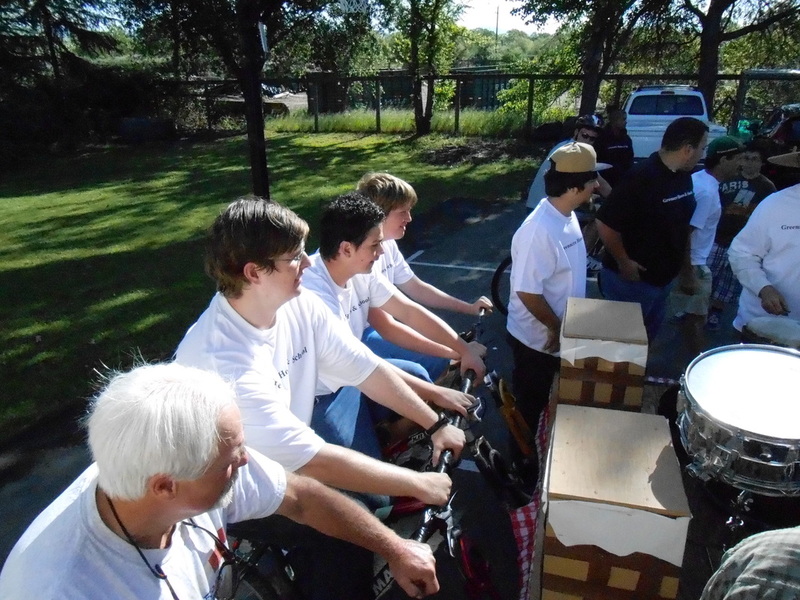 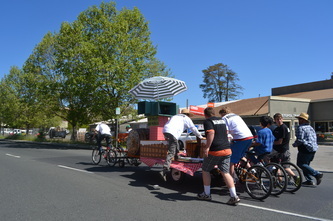 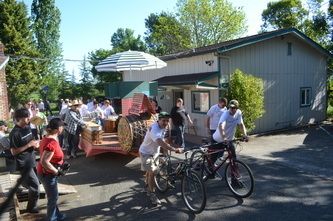 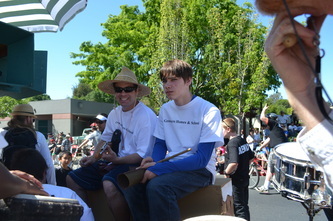 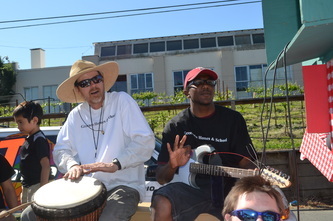 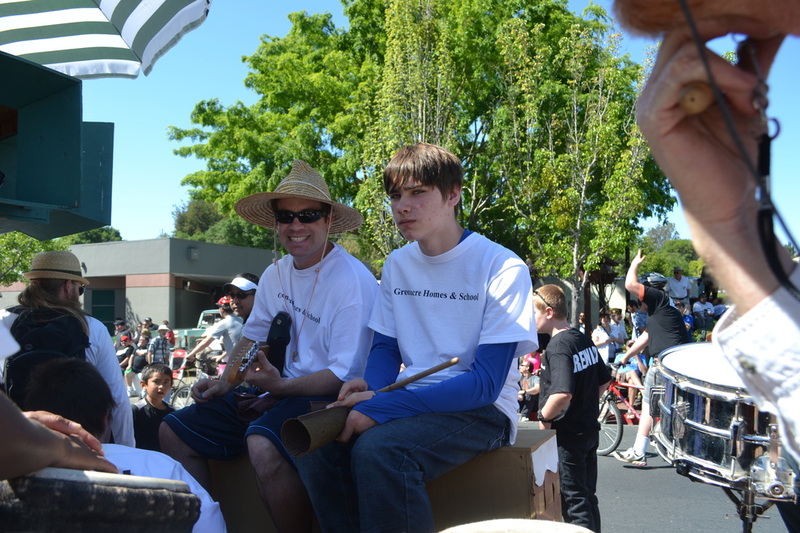 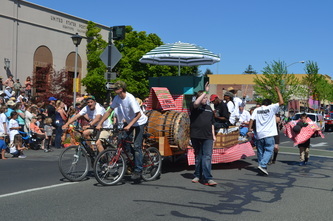 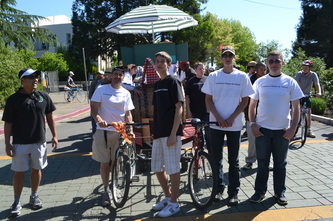 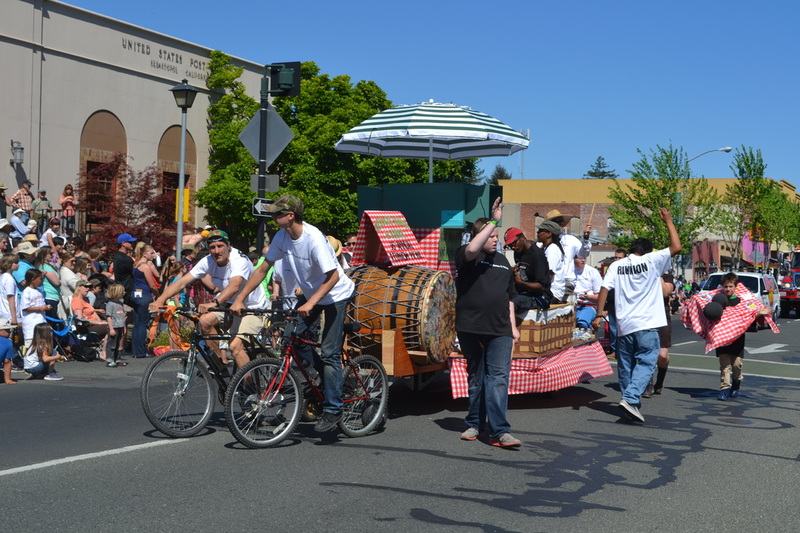 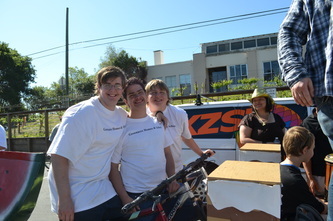 The pedal-powered clean float was carefully crafted by the teachers and students using reclaimed lumber and donated bicycle parts. 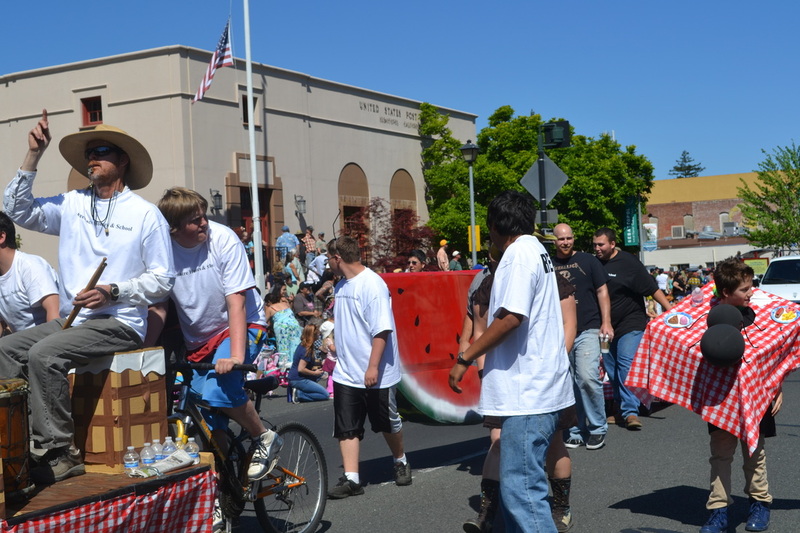 Highlights from the event include having the guys getting the street lined crowd to cheer their loudest, "riding" the float downhill back to the main office with questionable breaking power and of course enjoying the wonderful Hometown Reunion BBQ afterwards. 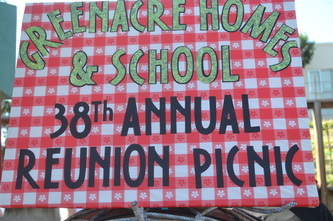 Thank you to everyone that participated in this year's event......we're looking forward to 2014!